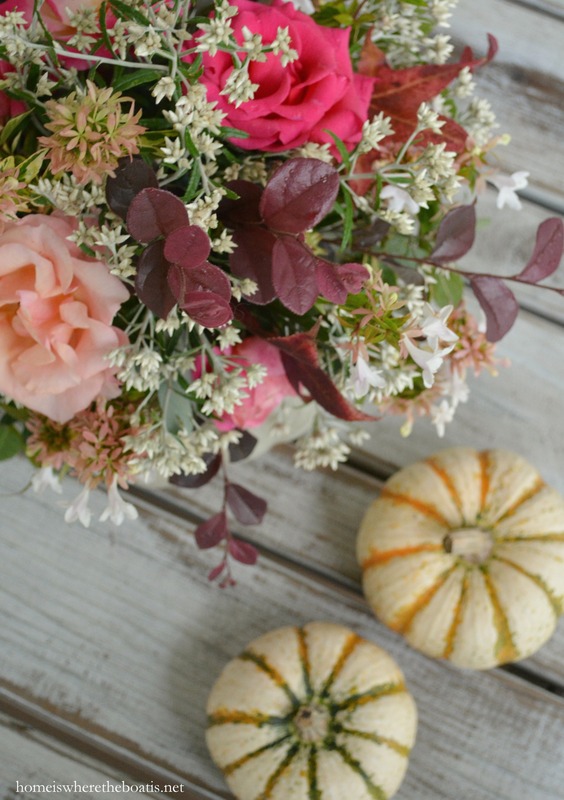 Flowers and pumpkins are two of my favorite things and I love to combine the two for a seasonal centerpiece for the table for fall or Thanksgiving! I added some snips of shrubs, leaves and filler flowers to make a quick and easy blooming pumpkin. I discovered a method from The Full Bouquet that uses a shortcut for making a pumpkin centerpiece. You add a piece of wet floral foam on top of your pumpkin, rather than it hollowing out to make a vase for your flowers. If your pumpkin has a short stem, you can use the stem to anchor the wet foam in place. My pumpkin was stemless so I used some wet floral tape to secure it to the pumpkin. You can find wet foam and tape on the floral aisle at the craft store. 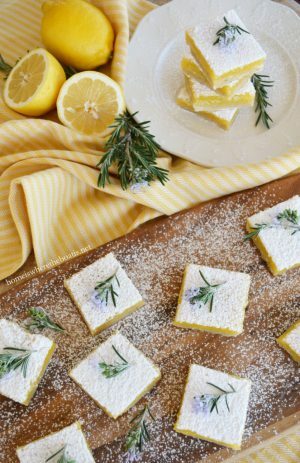 I found a 2-pack of small round floral blocks at Dollar Tree, or you can cut your floral brick with a knife the size you need. This time-saving method provides the same effect of a pumpkin vase! You can easily replace your wet foam and flowers several times during the season and enjoy a new arrangement with little effort and your pumpkin will last all season since you don’t cut it. 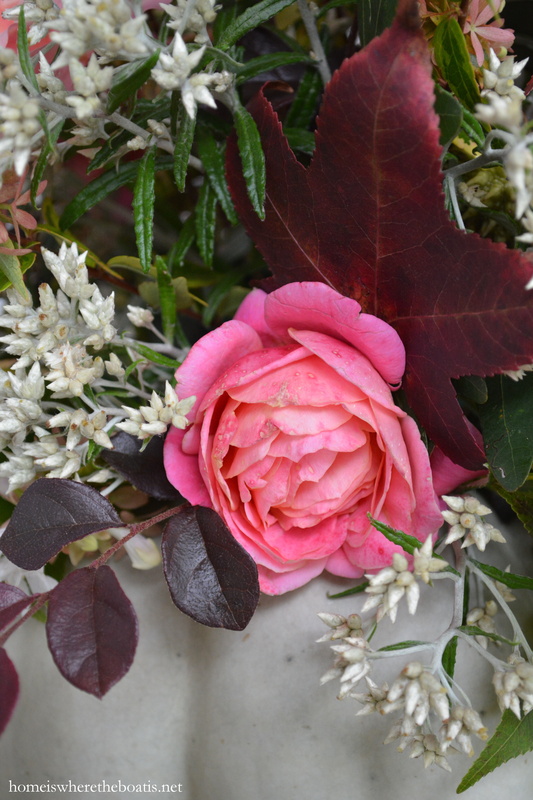 I used a gray pumpkin to pair with the pinks of the roses and cut some shrubs for filler~ Loropetalum with its purple tinted foliage and Kaleidoscope Abelia with blush pink-tinted tips and white bell-shaped flowers. I also added some white buds from some wildflowers (aka, weeds :) growing in my field next to my Potting Shed which I haven’t been able to identify, maybe Boneset, does anyone know? The stems are gray and the flowers grow in clusters. If you don’t have a Chick-fil-A Bouquet :) you can use any grocery store flowers to create a blooming pumpkin including long-lasting mums and Alstroemeria, along with fall leaves or goldenrod. 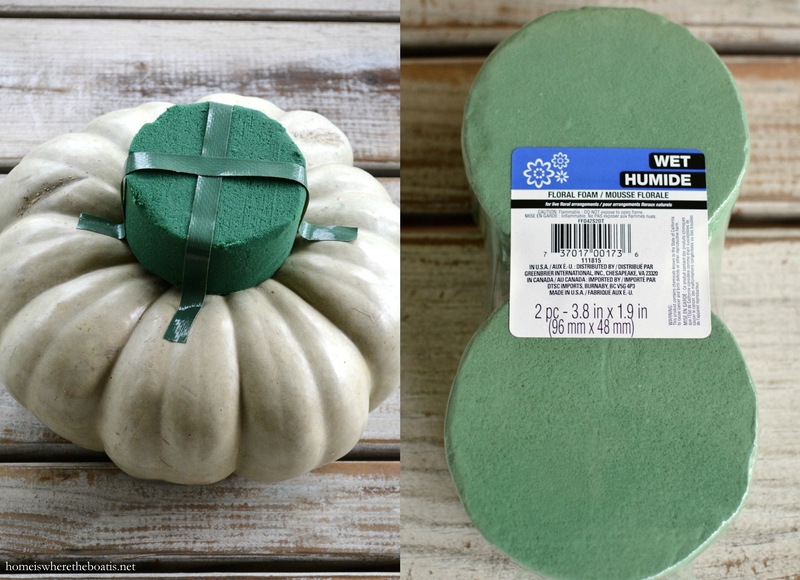 Use floral picks to secure smaller pumpkins, apples or gourds to your foam. We’ve had some much-needed rain over the past week. We’re under a flood and wind advisory until Monday but I’m so glad to see the lake starting to fill up again. Hope you’re warm and dry this weekend! Beautiful photos, wish I had the time to create something so beautiful. Thanks for giving me inspiration! Mary, this is a great tip! 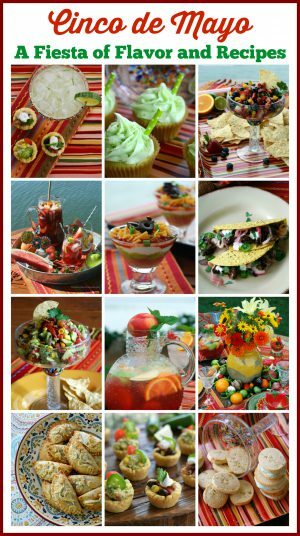 I think I’ll do some of the mini ones and take them as party favors for a dinner party with girlfriends in a few weeks. Glad you are getting the much needed rain. It’s amazing how the lake can fill back up with a weekend of torrential rains. No rain here, but we are enjoying some gorgeous fall weather. I’m sitting in the sun room with the doors and windows open to the cool morning air. It’s so quiet and peaceful. My favorite time of day! How lovely! We who love pink welcome it any month of the year. Thank you! You’ve given me one of those “Duh Momens”! I have been wanting to do a centerpiece similar to this, but I couldn’t bring myself to hollow out a fake pumpkin…now how crazy is that? Lol but what if I need it for something else thoughts keep rolling around my mind. Thank you so much! When I need a dose of beauty I open your site. You are sunshine on a cloudy day. Love your creative fall works of art! 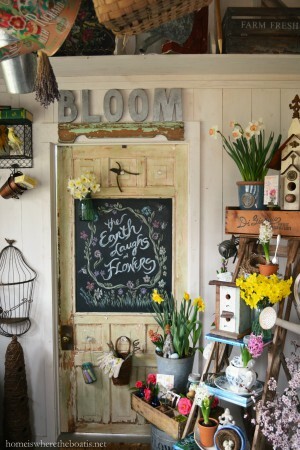 Very pretty , I really like the flower arrangement in pumpkins . Hope you are safe in your area. Thanks for the great tip on using the floral foam on top of the pumpkin, Mary. Your pumpkin arrangement looks fabulous. I’m happy that you’re receiving the much needed rain. Happy Sunday! Oh, a wonderful idea….I can do this without losing my fingers!! thank you, thank you! What a brilliant idea, Mary! Thanks so very much for sharing this one. It would even work for some artificial pumpkins if we were careful to protect the surface from moisture. I can’t wait to try it. I would be Chick-Fil-A’s number one customer if I could buy roses through the drive-through. :) We love that store. They gave out free sandwiches and drinks to stranded motorists during the snowmageddon. Love that! I love the idea of putting the foam on top of the pumpkin too. 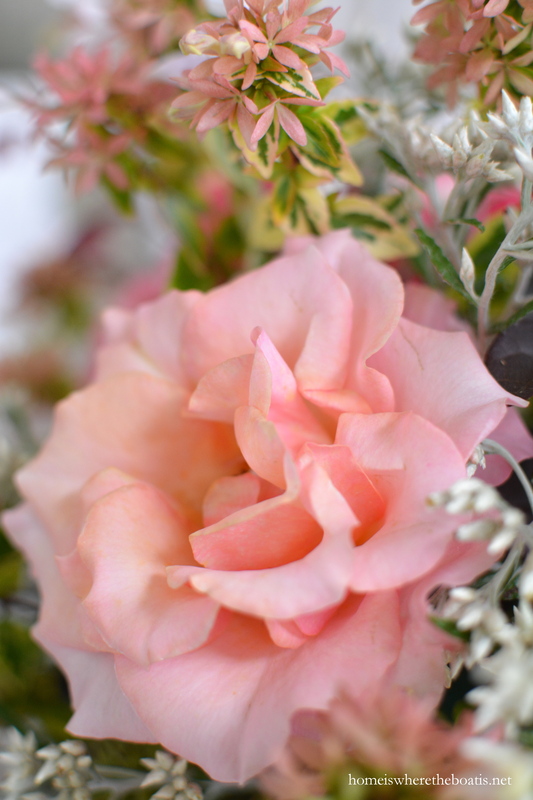 Your bouquet is beautiful! We are finally drying out but the wind is still howling. It is supposed to go up into the 70’s this week, we will see! It has been LOW 50’s for 3 or 4 days now. Happy Sunday! 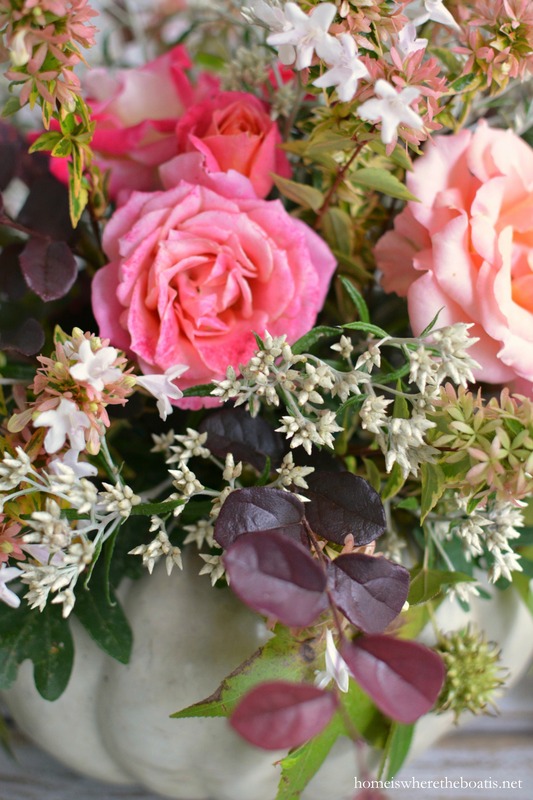 What a beautiful bouquet of flowers in an unique arrangement. It certainly makes my day. how absolutely brilliant Mary! 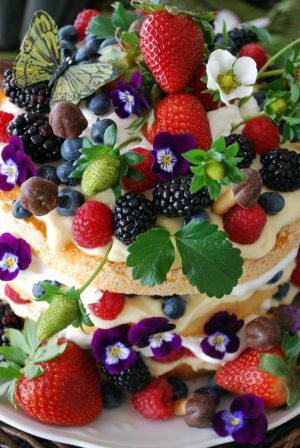 I have always admired your blooming pumpkins but never wanted to carve one out for flowers~ this is kinda like having your cake and eating it too! I love it! I wish you could go to the drive thru and get a bouquet with a side of nuggets! Really pretty! 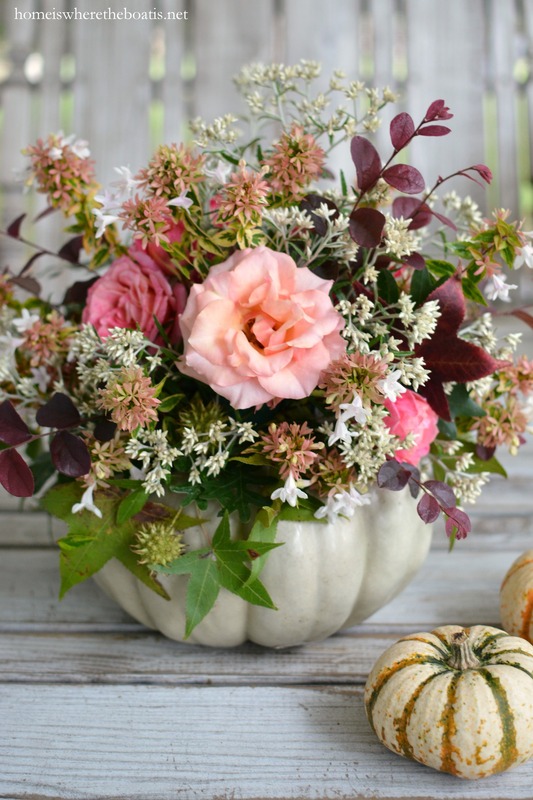 I love the combination of florals and leaves :) What a good idea to create the arrangement on top of the pumpkin without cutting into it. You’re amazing. Thank you for all the beauty and inspiration you provide! 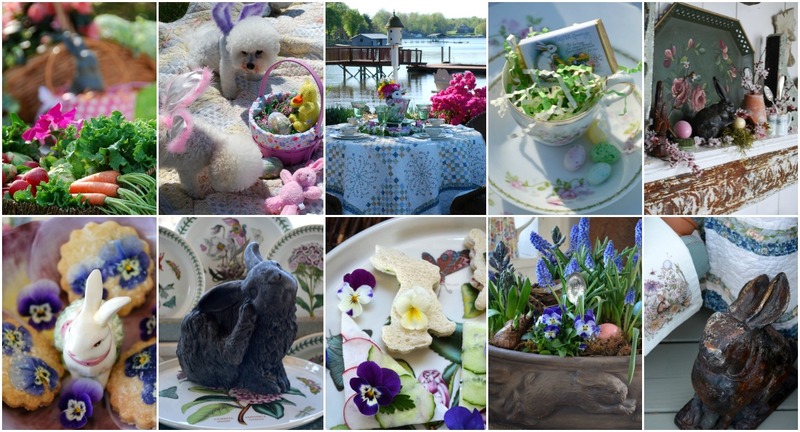 Beauty and marvelous ideas abound in this post. 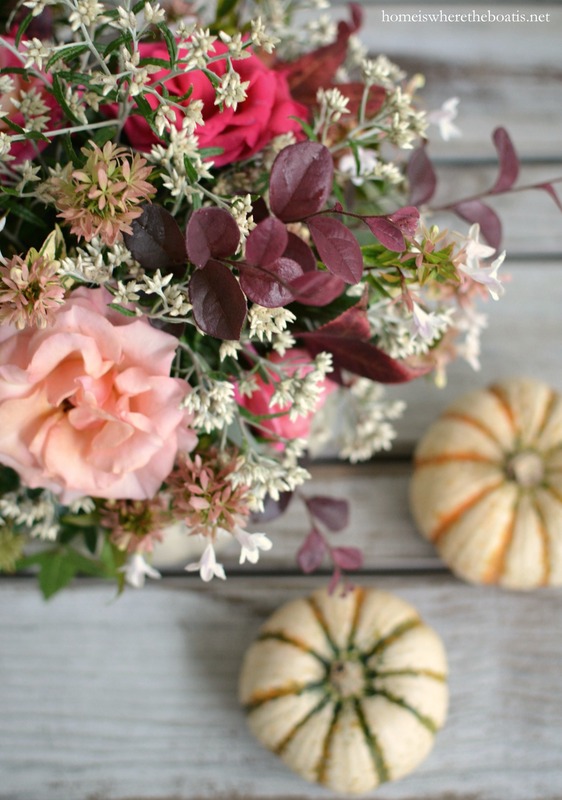 I’d never thought to tape floral foam to a pumpkin, and I’m adding it to my Must-Do list. 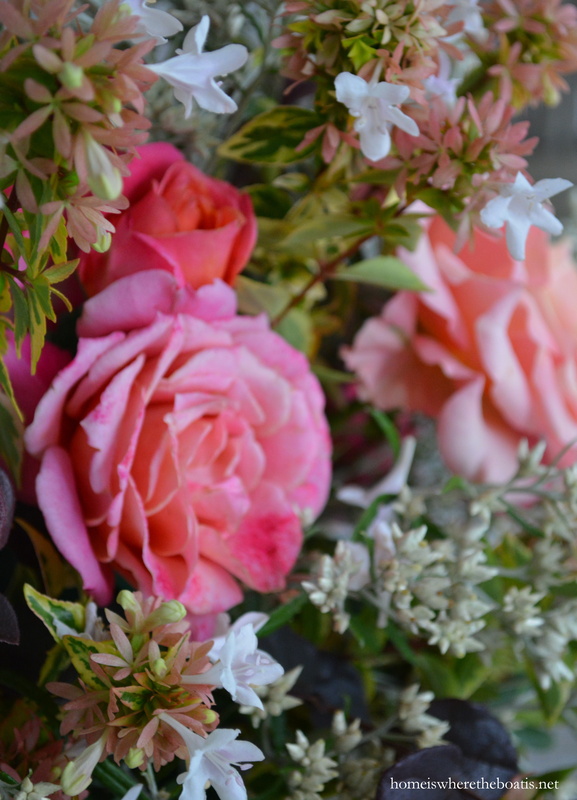 Your bouquet is joyful, seasonal, and pretty to behold. You love pumpkins and flowers. 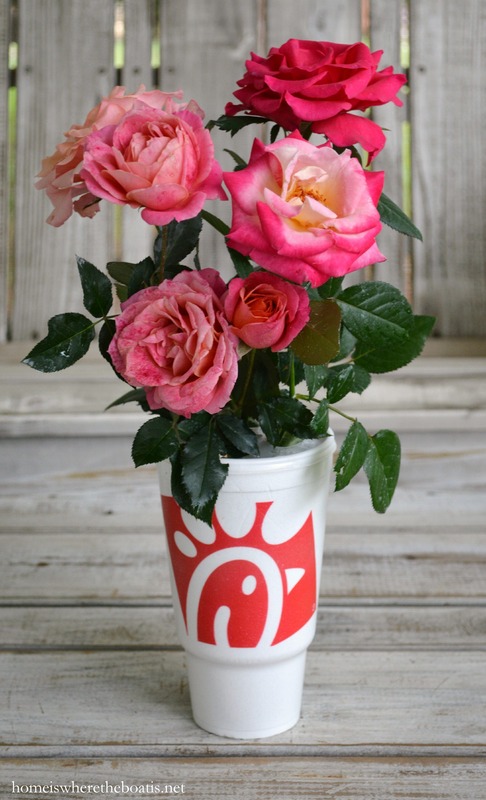 I love flowers and Chick-fil-A Tea, but never thought about combining the two! Great post!!! Just so pretty! And thanks for the how to! You are too clever Mary! Great idea and thanks for sharing! I love that you did not dig a hole in the pumpkin. My GREEN contribution to the world is I use all my pumpkins for food–pumpkin butter, pies, cakes, cookies..etc. and my jack-a-lanterns are ceramic or synthetic and used, year after year. Hi Mary, Thanks for thinking of us. ♥ We’re safe and sound with the lake level on the rise. We’re much further inland than Columbia and of course Charleston on the coast and escaped the flooding and torrential rains that they had. What a novel idea! 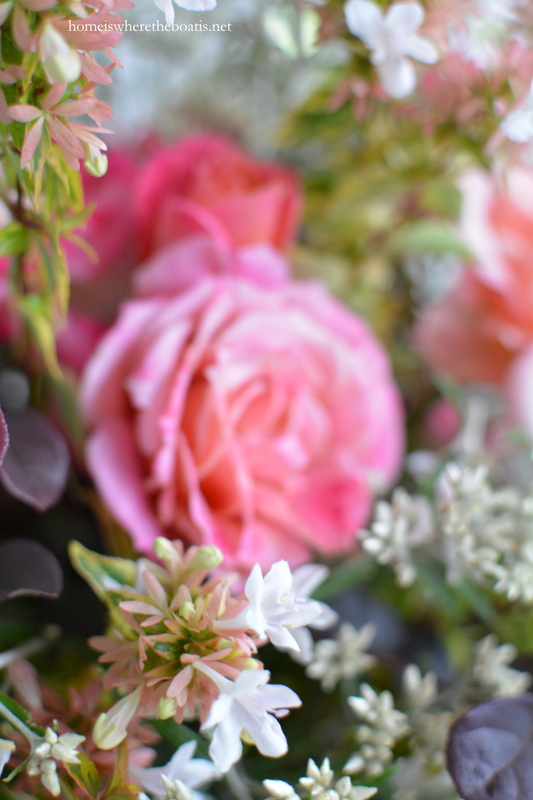 Your arrangements are gorgeous…perfect for this time of the year. How do you keep the water from spilling all over when you refresh the foam? Do you have a cup underneath? There’s no need to refresh the foam. 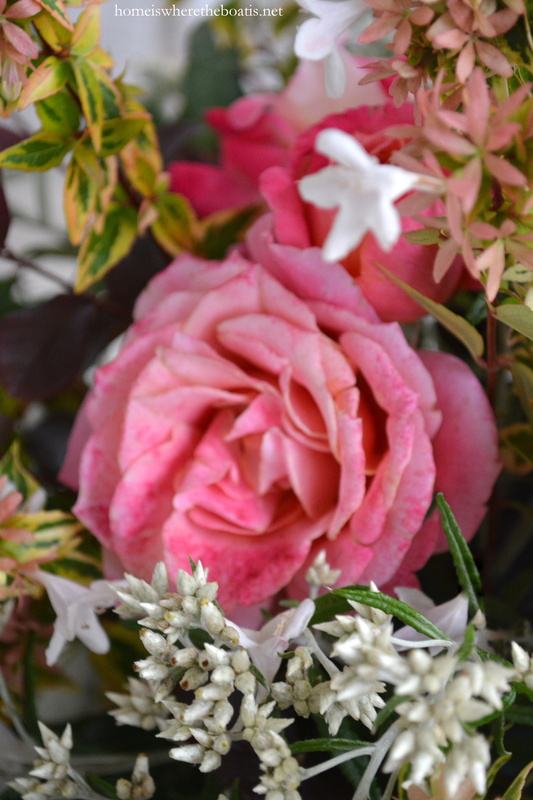 Use the float soak method initially so your foam fully saturated before you add your flowers. Did you saturate your oasis in water before afixing it to the top of the pumpkin? Yes, Use the “float soak” method by placing the foam on the surface of the water and nutrient mixture. Let the foam naturally absorb the water mixture and don’t forcibly submerge, as this will result in dry spots in your floral foam. I am seeing more and more roses with pumpkins! I love it! Thanks for sharing at Home Sweet Home! Pingback: 25+ DIY Thanksgiving Decorations for Home to try this year!